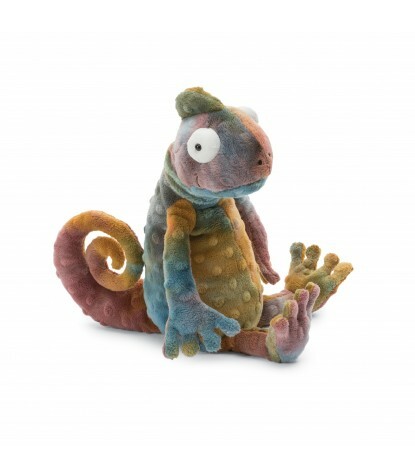 Jellycat Colin Chameleon is such a charismatic guy. Covered in fur as soft as moss and mixed with a rainbow of colors, because he's way too cool for just one shade! 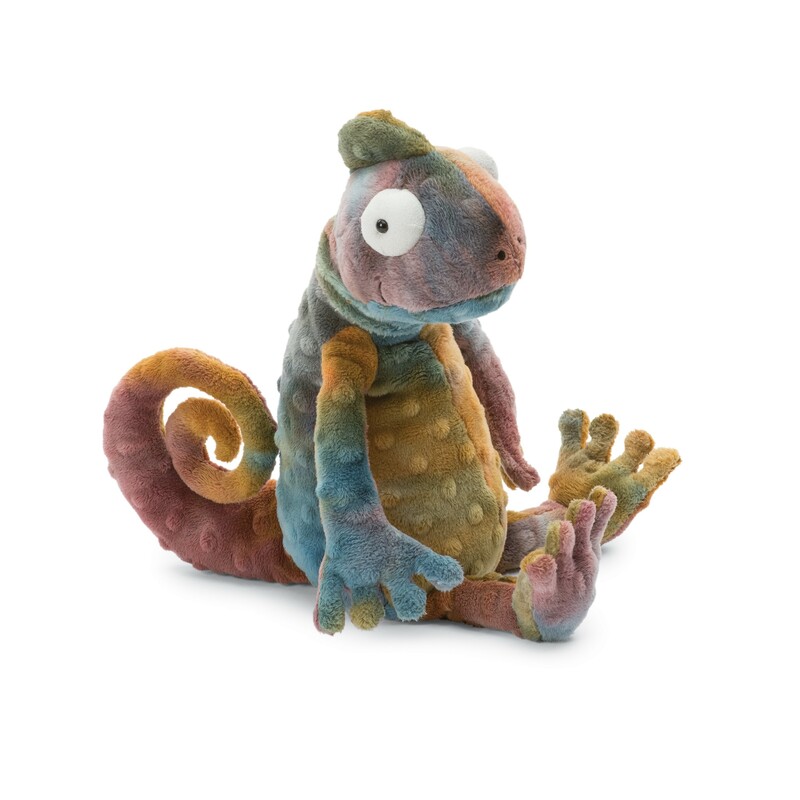 This kooky dude's got the biggest bobble eyes, a groovy crest and webby little toes, but best of all is his long springy, sproingy tail. Stretch it out and it pings right back!